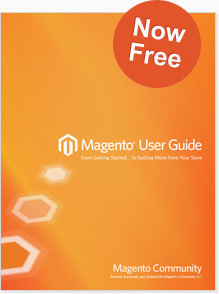 The Magento Community Edition User Guide is designed to help merchants launch successful online stores on Magento Community Edition. Written for store owners and site administrators, this book walks you through the end to end process of installing the software; setting up your site hierarchy, catalogs, and products; and managing customers, orders, payment options, and the look and feel of your site. 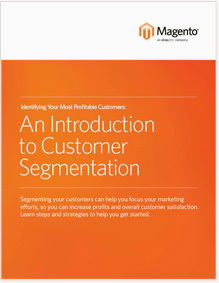 Successful customer segmentation starts with collecting and analyzing customer data. But there’s more to customer segmentation than grouping customers demographically. The more you know about your customers, the more you can give them what they want—and the more likely they are to keep coming back. Get a detailed introduction to customer segmentation, and learn how to increase profits and overall satisfaction. 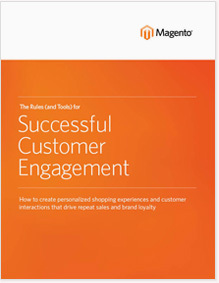 This 30+ page eBook offers strategies on how to create personalized shopping experiences and customer interactions that drive repeat sales and brand loyalty. Learn tips you can use to engage today’s technology-empowered customers — and turn more interactions into transactions. 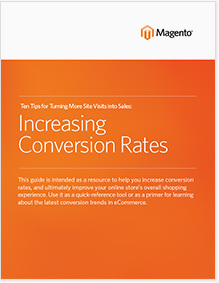 This Magento eBook offers ten tips even the most seasoned merchants can use to increase their conversion rates through evaluating and optimizing their site’s entire shopping experience. This eBook offers five simple and inexpensive strategies to increase your average order value (AOV) by optimizing and personalizing the shopping experience. Take a more in-depth look at the feature sets and superiority of the Magento eCommerce platform. Please make sure to watch the video introductions to get an idea of the key aspects of Magento.